Successfully saved Blueberry Crumb Bars to your Calendar. You can also save the ingredients to your Grocery List. 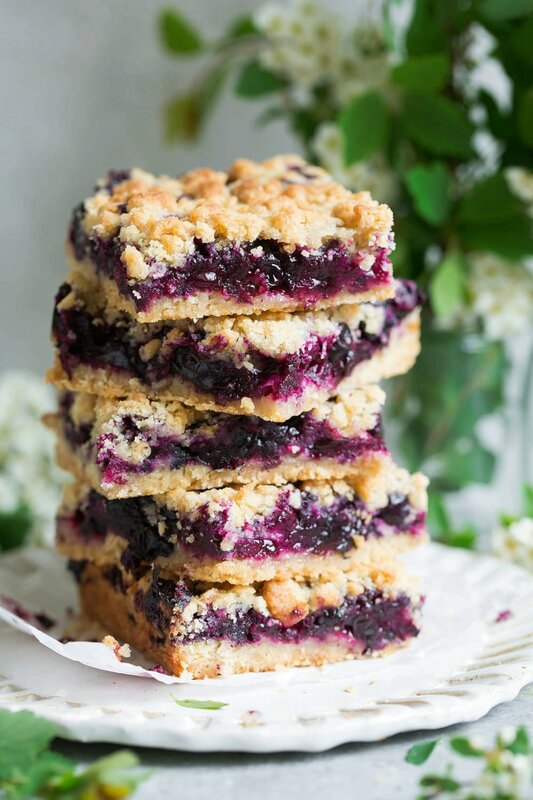 Here a crisp, buttery cookie-like crumb sandwiches a sweet, fresh, juicy blueberry filling and these things just couldn't get any better! They're the perfect use for all those fresh summer blueberries. I've been making them for years and everyone always loves them!